This is individual research and does not constitute investment advice. August was a hot month… and not just because of the scorching temperatures. The Nasdaq, Russell 2000 and S&P 500 were driven by solid second quarter earnings to new all-time highs. In fact, during the month, small caps on the Russell 2000 rose 4% as tech stocks on the Nasdaq jumped 3.8%. Blue chips on the Dow Jones Industrial Average and the S&P chipped in more than 2%. It was an all-around solid performance as the gray bull showed it still had some life left. In August, Canadian cannabis stocks roared back to life, surging 35.2%! And that was after they set a 2018 low on August 14. For months, cannabis stocks have languished. That’s despite the fact that in June Canada approved the legalization of recreational (adult-use) sales. There was a vacuum as investors were forced into a wait-and-see holding pattern. Just like the broader markets, investors wanted to see those second quarter earnings results and any all-important forecasts. For many cannabis companies, these results were cheerworthy. Plus we got some new deals from beverage companies Constellation Brands (NYSE: STZ) and Diageo (NYSE: DEO) that added fuel to the rally and continued to legitimize the space. No cannabis company was more explosive in August than Tilray (Nasdaq: TLRY). I’ve discussed Tilray here before and was excited about its IPO on the Nasdaq. Shares of Tilray gained nearly 175% in August alone! As has been the story for the broader markets in recent months, great earnings were key. But despite that fantastic August, don’t fall into the trap of believing cannabis gains are done. There’s still plenty of room to grow. Those 10 companies – including several marquee producers – require at least 50% gains just to get back to the highs they set early this year… and then they’re poised to continue that upward momentum. This is a broader industry scenario as well. In fact, the Canadian Cannabis LP Index itself would have to rise another 50% to reach its all-time high of 1,533.76 set in January. After the tremendous August surge, Canadian cannabis stocks are now positive for the year… though not by much. When recreational sales in Canada didn’t begin on July 1 – as originally scheduled – there was a lot of dead air to fill. And shares of the world’s best and fastest-growing cannabis stocks got knocked around for several months. Now those first adult-use sales are on the horizon, starting October 17. There’s renewed energy and momentum in the sector. Investors should expect volatility. That’s the nature of the game for this nascent industry. But they should also expect a lot of upside, as Canadian adult-use sales begin next month. Plus, investors must remember that cannabis is on the midterm ballots in a few U.S. states as well, which provides an added boost. August was a hot one for the broader markets. But it was en fuego for cannabis stocks… a trend that should continue. Customer Service • Not Receiving Our Emails? Copyright © 2019 Energy & Resources Digest. All Rights Reserved. 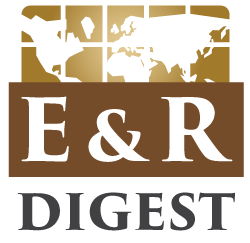 Energy & Resources Digest Disclaimer: Nothing published by Energy & Resources Digest should be considered personalized investment advice. Although our employees may answer your general customer service questions, they are not licensed under securities laws to address your particular investment situation. No communication by our employees to you should be deemed as personalized investment advice. We expressly forbid our writers from having a financial interest in their own securities recommendations to readers. All of our employees and agents must wait 24 hours after on-line publication or 72 hours after the mailing of printed-only publication prior to following an initial recommendation. Any investments recommended by Energy & Resources Digest should be made only after consulting with your investment advisor and only after reviewing the prospectus or financial statements of the company. Thank you for Signing up! You should start receiving Energy And Resources Digest In Your Inbox Within The Next 24 Hours.